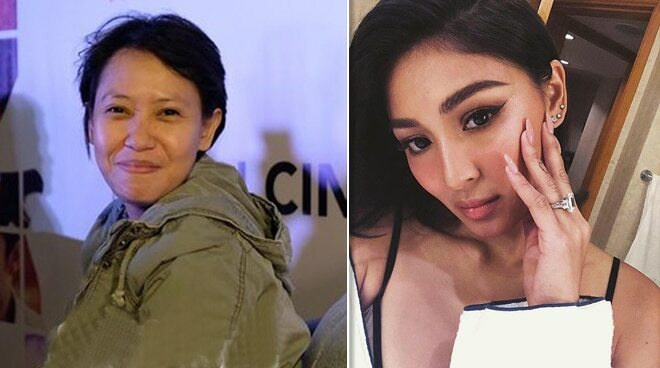 Currently in production with Nadine Lustre for their first project together Ulan, director Irene Villamor defended the actress from a basher who commented on Nadine’s new co-star Carlo Aquino’s Instagram account. 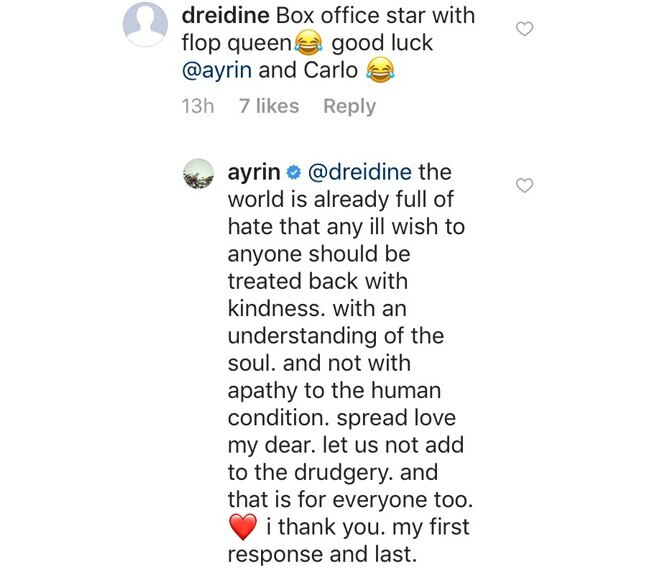 The comment stemmed from Carlo Aquino’s recent casting in the film (to replace Xian Lim who had to leave the project reportedly because of conflicts in scheduling) which triggered a word war between JaDine and CarGel fans online. The talented director (who also directed Meet Me in St. Gallen and Sid and Aya: Not A Love Story), replied to one particular basher who questioned Nadine’s box office capabilities. The movie Ulan is set for release next year and is a story about one woman’s search for self love.